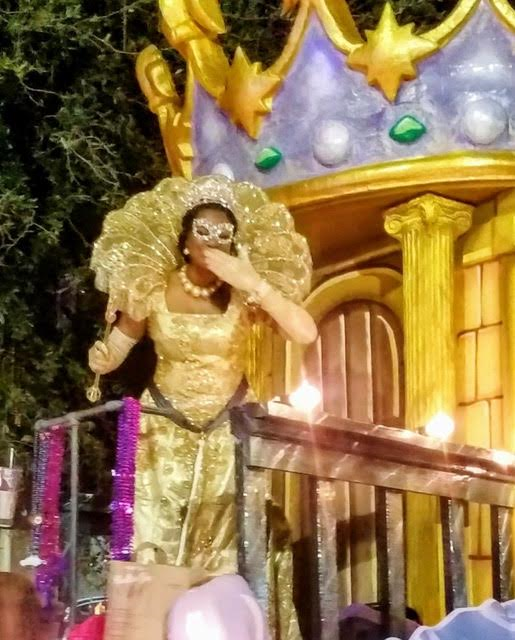 Goddess Nyx VIII Parade Theme: "There's no bigger Party than a Parade"
Reigning as Goddess Nyx VIII is Shelby Seuzeneau. She is the daughter of Mrs. Lori Seuzeneau who was Goddess Nyx V, and Mr. Kevin Seuzeneau. Her reign began on November 17, 2018 when she was crowned at the 8th Annual Goddess Luncheon held at the Roosevelt hotel. Shelby is New Orleans native and an undergrad student at Loyola University. She is a member of Gamma Phi Beta Sorority, Tri-Beta Biological Honor Society, Health Advocates and the National Society of Leadership and Success. She is honored to be the krewe’s first legacy. Shelby is thrilled to celebrate Mardi Gras with her family & friends and fellow members of the Krewe of Nyx! 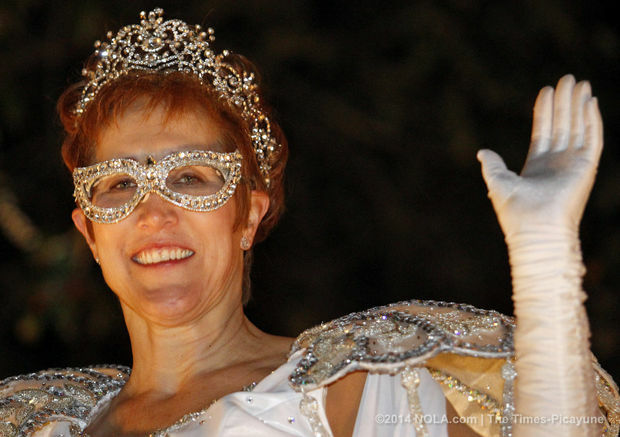 Goddess Nyx VII Parade Theme: "Nola's Triple Crown"
Reigning as Goddess Nyx VII is Mrs. Karen Boudrie Greig. Karen is the daughter of Mrs. Janet Beard Boudrie and the Late James E. Boudrie of Cincinnati, Ohio. Her reign began on November 23, 2017, when she was crowned at the Seventh Annual Goddess Coronation Luncheon at the Marriott hotel. Karen moved to New Orleans in 1992 to work as a News Anchor and Reporter and instantly fell in love with the city, especially Mardi Gras! Today she runs her own Public Relations and Marketing company while continuing to do some Broadcast television hosting, commercials and even feature films. 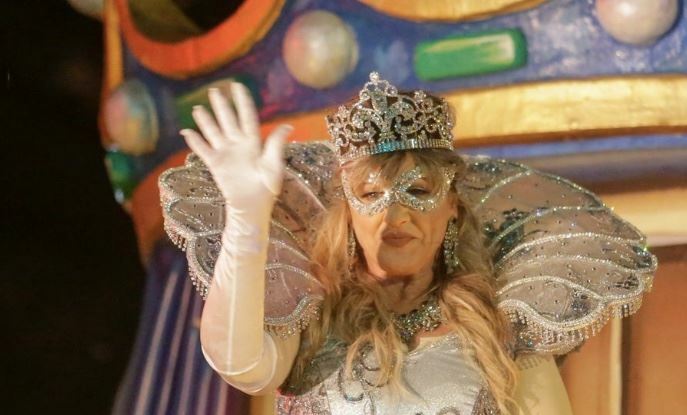 She is thrilled to be the "Lucky 7" Nyx Goddess and looks forward to engaging with those who love Mardi Gras as much as she does! 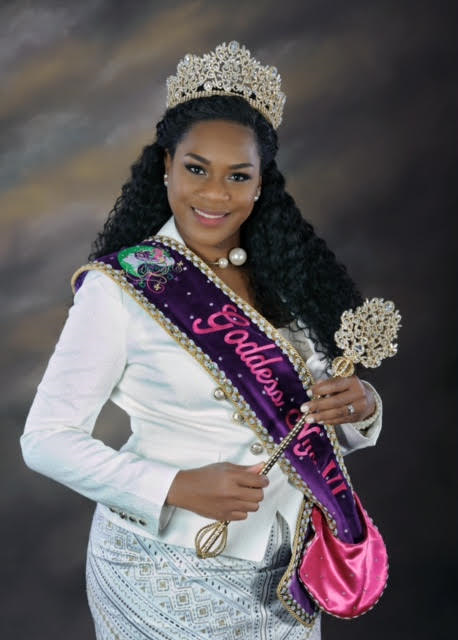 Goddess Nyx VI Parade Theme: "Dancing The Night Away"
Reigning as Goddess Nyx VI is Mrs. Zenia Williams, daughter of Mrs. Jofferion Myles and Mr. Edward Smith. Her reign began on November 20, 2016, when she was crowned at the Sixth Annual Coronation Luncheon at the Marriott Hotel. She is a native New Orleanian who resides with her husband and son in the city. She works as a law enforcement professional and serves the citizens and visitors of the Greater Metropolitan area as a Sergeant with the New Orleans Police Department. 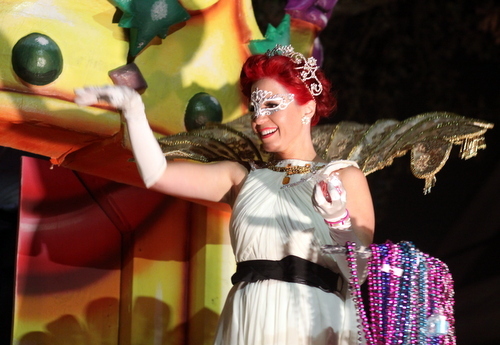 She has been with the Krewe of Nyx since its inception and has been a Float Lieutenant in the Krewe for five years. She is excited to fulfill her roll as Goddess to represent the sisterhood of Nyx for the members of the Krewe, as well as for the citizens of New Orleans. 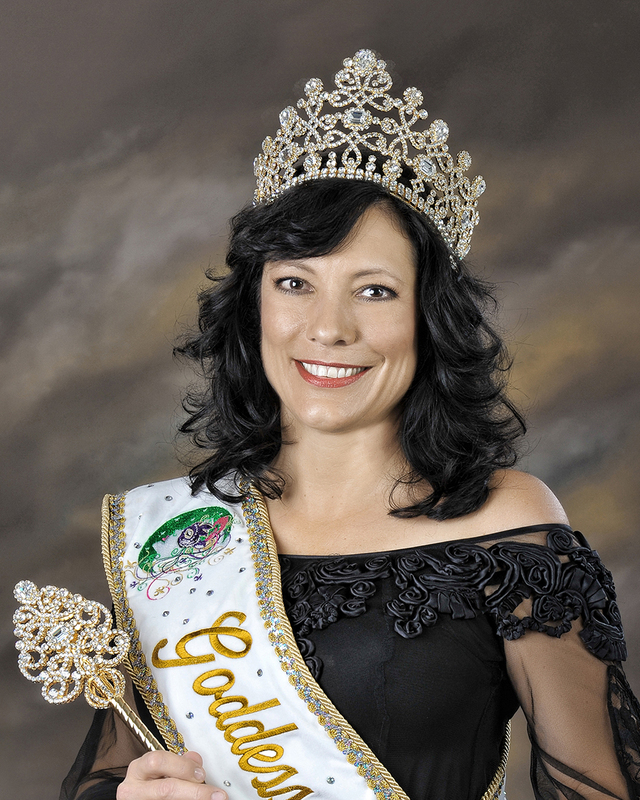 Goddess Nyx V Parade Theme: "Nyx Turns 5"
Reigning as Goddess Nyx V is Mrs. Lori Seuzeneau, daughter of Wallace and Prentissa Rodrigue. 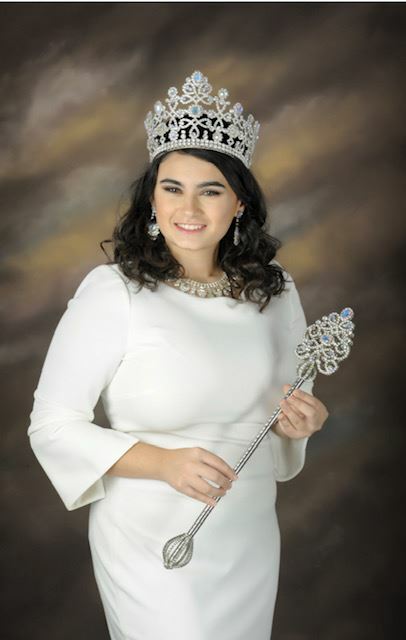 Her reign began on November 22, 2015, when she was crowned at the Fifth Annual Coronation Luncheon at the Audubon Tea Room. She is a native New Orleanian who resides with her husband and two children in the city. She works in the medical field and serves the patients of the Greater Metropolitan area. 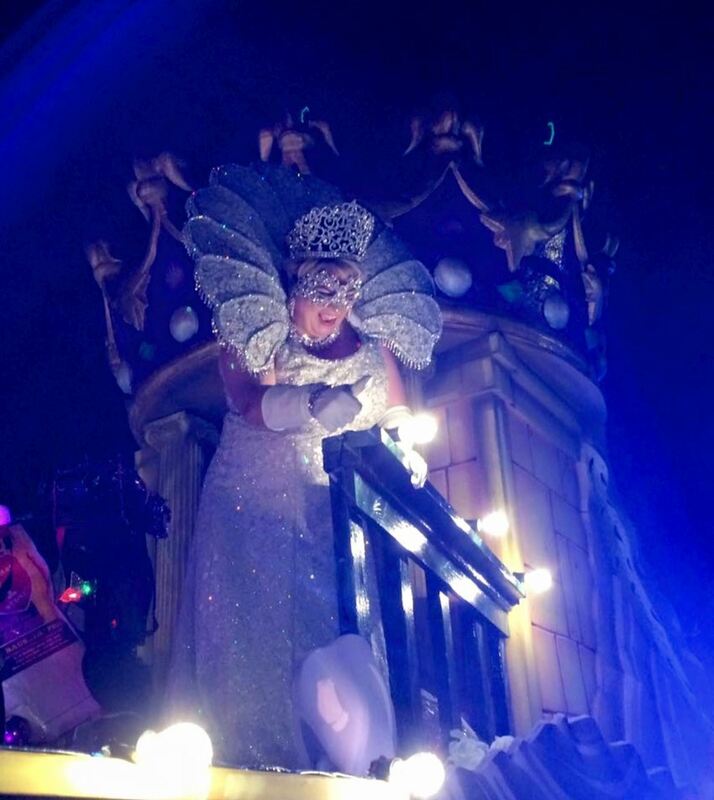 She has been with the Krewe of Nyx since its inception and has held many rolls within the Krewe's leadership. 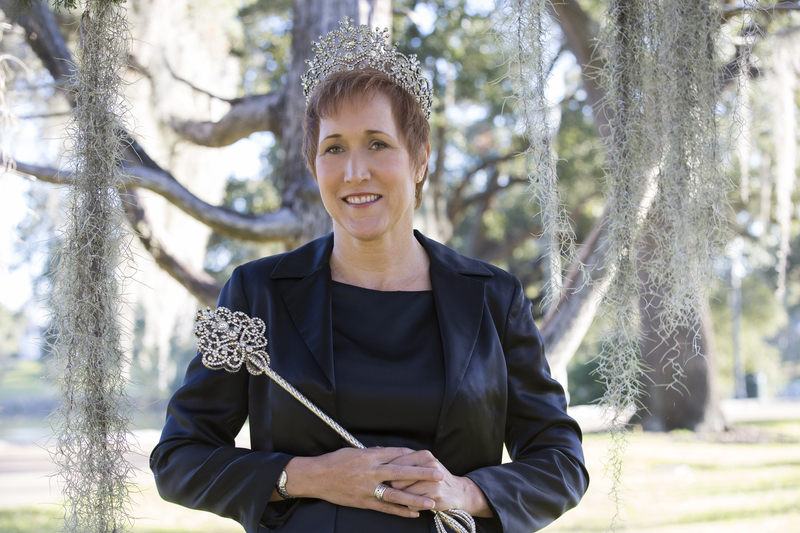 She currently serves as the Co-Captain and the Director of Membership for the Krewe of Nyx. Her love for Nyx and her dedication to its members is second to none. 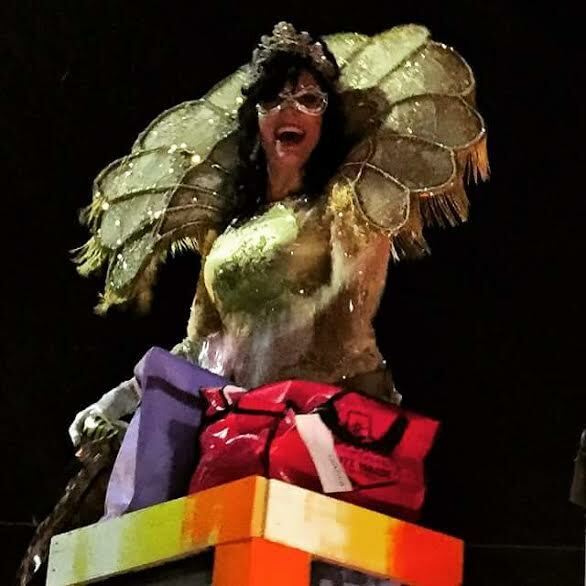 She is thrilled to represent the Mystic Krewe of Nyx during its fifth anniversary year as Mardi Gras royalty to the residents and visitors of the city she adores. Goddess Nyx IV Parade Theme: "Nyx Celebrates The King"
on Nov 23, 2014, when she was crowned at the Fourth Annual Coronation Luncheon at Audubon Tea Room. She has lived all over the US, and now resides with her wonderful husband of 17 years on their ranch in south Texas, between San Antonio and Mexico. Jenna’s love of New Orleans began three decades ago. She comes to her favorite city every couple months, to explore, admire, enjoy, appreciate, and work.Jenna and her husband Bob co-founded Twisted X Boots in 2005. Jenna took a sales territory-south Texas and Louisiana. While Jenna has no children, Bob’s three have adopted her, and she is the proud Nana to 4 lovely grandchildren. In what spare time she has, Jenna enjoys scuba diving, snow skiing, traveling, reading, and anything that involves learning about her beloved city of New Orleans. Goddess Nyx III Parade Theme: "Cookin' with the Krewe"
Goddess Nyx III was Ms. Heather Hanlon Nichols, daughter of Vince and Connie Hanlon. 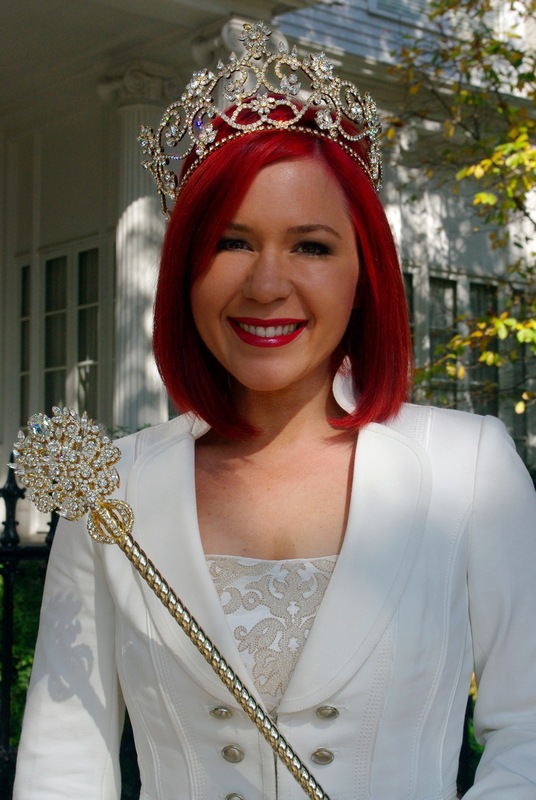 Her reign began on November 10, 2013 when she was crowned at the 3rd Annual Mystic Krewe of Nyx Coronation Luncheon, held at the Audubon Tea Room. Although she currently resides in Baton Rouge, Heather is no stranger to New Orleans, having graduated from UNO. Heather spent several years in Atlanta - in 2010, she heeded the call to return to Southeast Louisiana after attending Mardi Gras and reconnecting with old college friends and the city she loves. Heather is a Human Resources executive who spends her free time distance running and traveling and, as a Charter member of the Krewe of Nyx, has been known to leave a trail of glitter wherever she goes! Goddess Nyx II Parade Theme: "What a Girl Wants"
Goddess Nyx II was Ms. Lauren Thom, daughter of Celeste and Greg Fox. 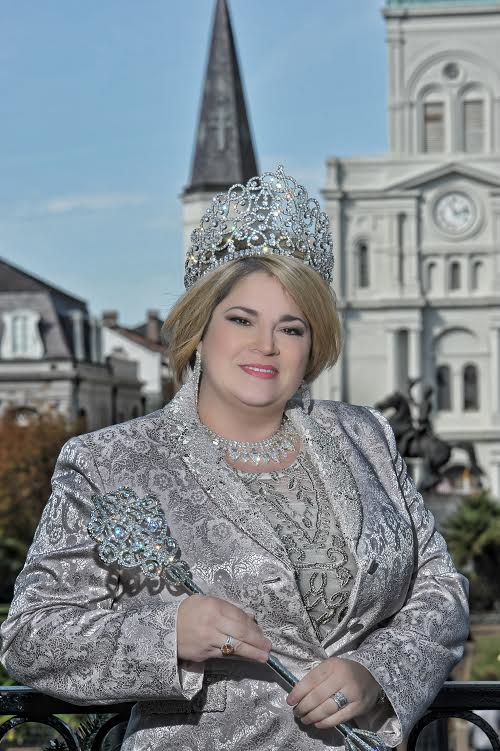 Her reign began on November 17, 2012 when she was crowned at the Krewe of Nyx 2nd Annual Coronation Luncheon at the Hyatt Hotel. Lauren is a native of New Orleans where she resides with her three children. Ms. Thom is recognized as a leading young entrepreneur in the New Orleans community by being the CEO of her local brand of stores, Fleurty Girl. 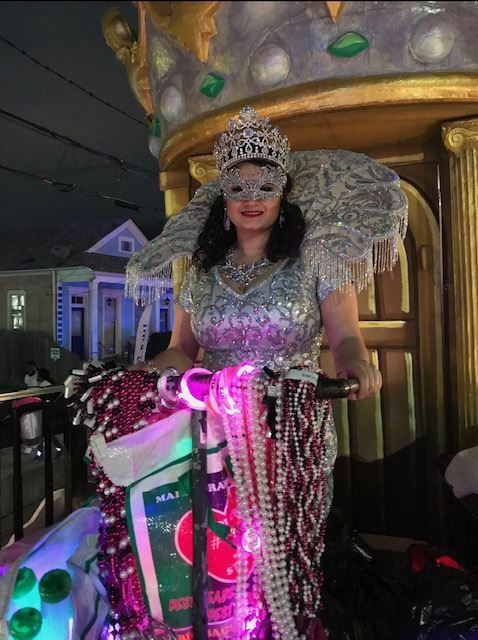 Lauren was thrilled to represent the Mystic Krewe of Nyx as Mardi Gras royalty to the residents and visitors of the city she loves. Goddess Nyx I Parade Theme: "Nola Reality Reigns"
Goddess Nyx I was Ms. Gemelle Saak, daughter of Mr. & Mrs. William James Linzy. 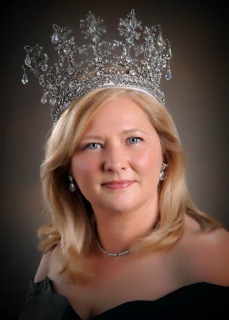 Her reign began on November 19, 2011, when she was crowned at the Inaugural Coronation luncheon for the Krewe of Nyx. Goddess Nyx I, was a second generation inaugural royalty. 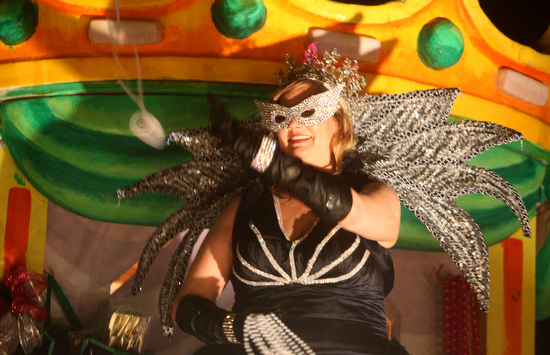 Her mother, the former Mrs. Gemelle Martin Saak, was the first Queen of the Krewe of Diana. 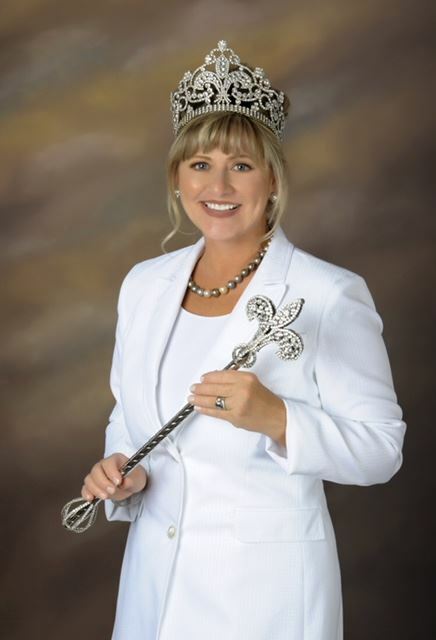 The crown and scepter that she wore in 1968 are the same that her daughter wore reigning as Goddess Nyx I. Ms. Saak was delighted to follow in her mother’s footsteps being chosen as Goddess Nyx I for the Krewe of Nyx’s debut into New Orleans Mardi Gras history.